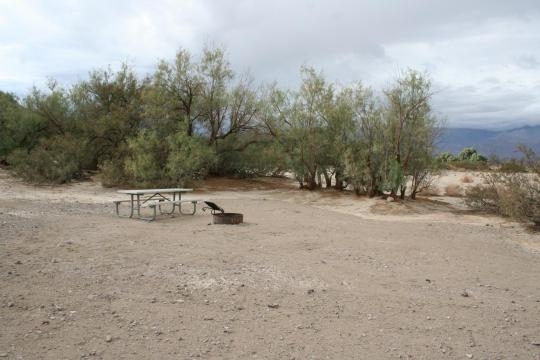 Local Directions: Death Valley is in eastern California on the Nevada border, 130 miles west-northwest of Las Vegas, Nevada and 106 miles east of Lone Pine, California. 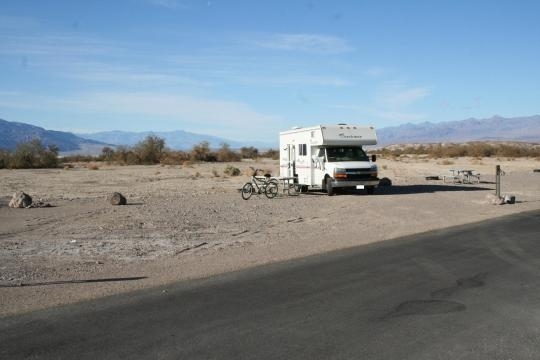 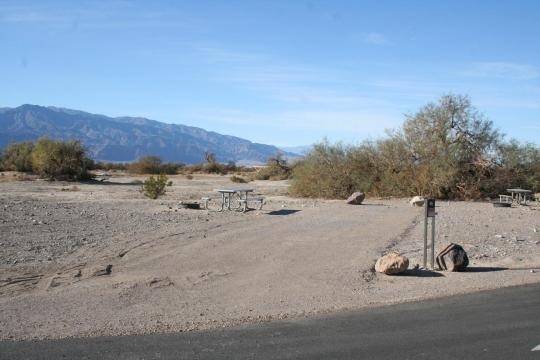 Furnace Creek Campground is a half-mile north of Furnace Creek Visitor Center on State Highway 190. 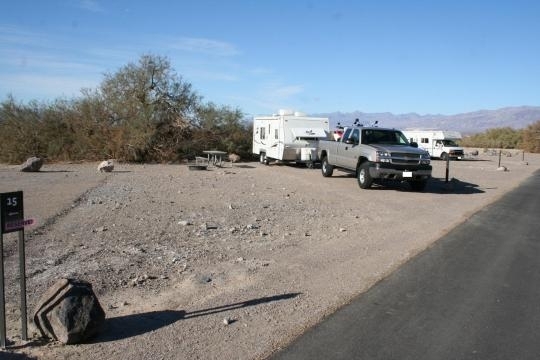 Group sites can accommodate maximum of 40 people and 10 vehicles each at $25-$52/night. 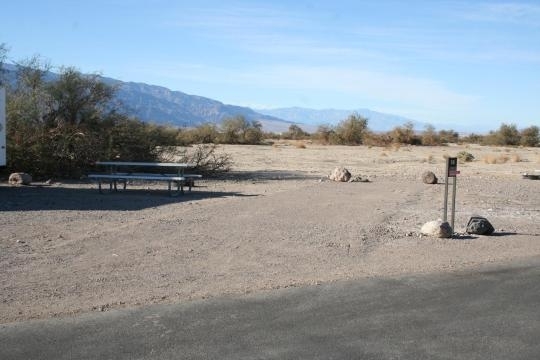 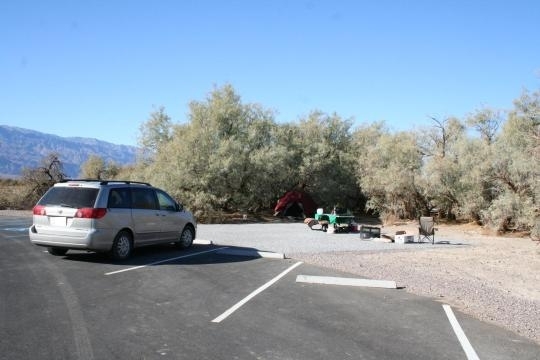 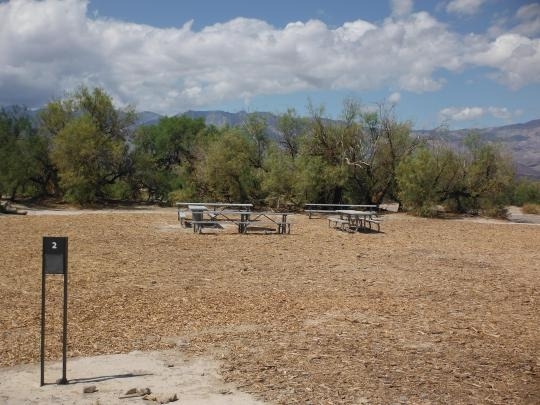 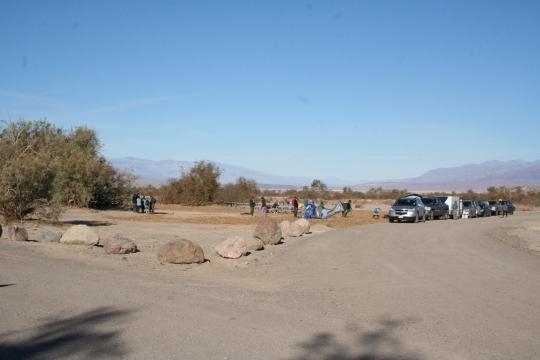 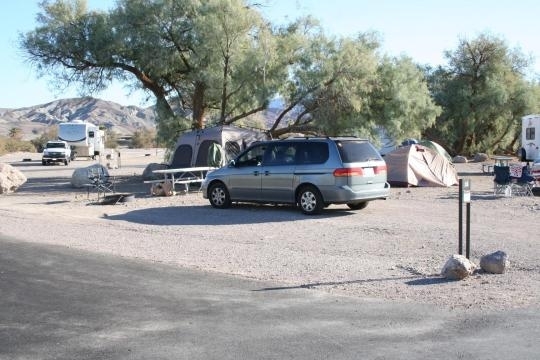 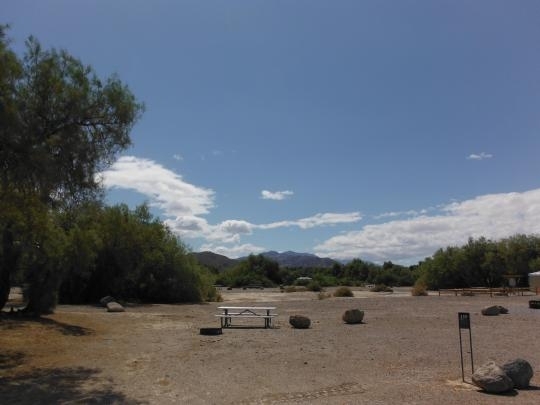 Furnace Creek Campground becomes first come-first served and fee changes to $12 per night from mid-April to mid-October. 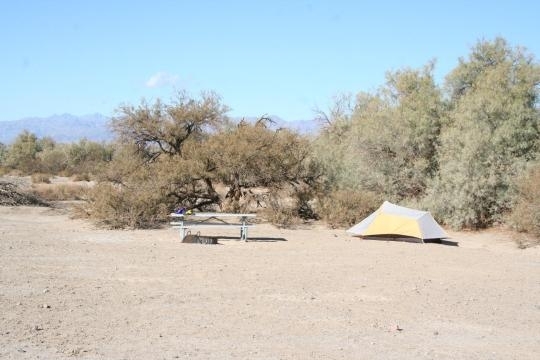 Right in the middle of the park and 196 feet below sea level, we were there in June and it was 80F when we went to bed... a great opportunity to sleep without the raincover on the tent and view the stars from your bag! 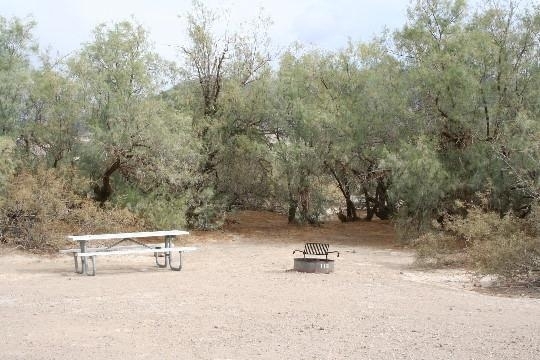 Facilities are good, decent restrooms, drinking water, picnic tables. 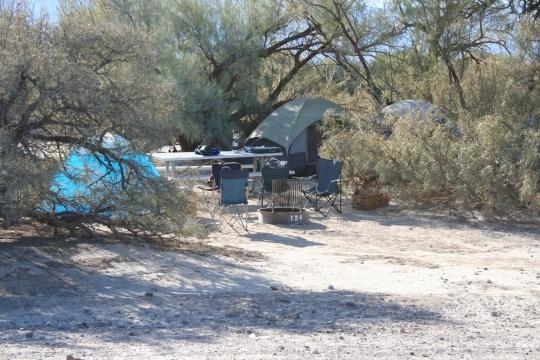 Unsurprisingly only a few sites have even the slightest bit of shade so worth getting there early to bag one. 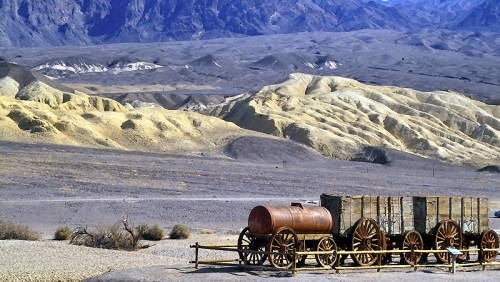 Only reason for dropping one star is that the land around it is sparse, but that goes with the territory. 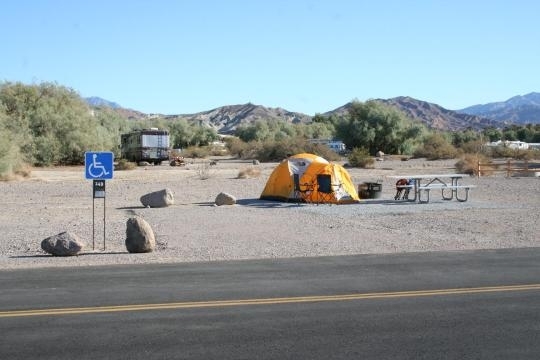 We stayed here in a Tent.